The truck attack that killed at least 84 people and injured hundreds more in Nice last week was a particularly brutal tragedy, but it was just the latest in a long and incredibly dense chain of terrorist acts to plague modern France. The 1980s and 1990s each saw deadly waves of jihadi violence in the country, and there has been a surge of mayhem there over the past few years that goes beyond catastrophes like the one in Paris last fall. In fact, France stands apart from the much of the continent, with Europol statssuggesting nearly half of the region's 2015 terrorism incidents took place on French soil. All of which raises the question of why France seems to bear such a disproportionate share of the area's terrorist brutality—and whether there's hope for getting a handle on the situation in the near future. Security experts canvassed by VICE tend to agree France's terrorism woes stem in no small part from the intense marginalization of its massive Muslim population. Combine that with an overburdened French security apparatus that can't seem to keep pace with the scale of potential threats—Islamic or otherwise—and the extent of French vulnerability quickly comes into focus. Solutions to such deep social and institutional failures, however, aren't so easy to come by. Part of the story here rests on the complex dynamics of the French Muslim population. Composed heavily of the descendants of immigrants from former colonies in North Africa whose families originally came over to work blue-collar jobs, this is one of the largest such populations in the European Union; it's also one of the least integrated. Many residents are isolated in enclaves and slums, constantly struggling to achieve cultural acceptance and economic well-being. Neighboring countries like Germany have their own Muslim areas where people struggle with identity and social isolation, but according to Veryan Khan of the Terrorism Research and Analysis Consortium (TRAC), that state and its society have done more to reach out to those communities than France—as have many other nations. As such, France has incubated an especially large pool of people who might be open to crime and vulnerable to identity crises. Add in the EU's open borders, which make it easy for French radicals to get arms from outside the country—and for external actors to get in—and you've got a recipe for disaster. "It's a bad combination to have a criminal element like everybody does, but then to add into that this susceptibility [via marginalization] to [jihadi] messaging—that puts France right in the crosshairs," Patrick Skinner of the security intelligence consultancy Soufan Group tells VICE. It doesn't help matters that, like its neighbors in Belgium, French intelligence officials seem to be overwhelmed. This isn't because they are incompetent—although Daveed Gartenstein-Ross, a counter-terrorism analyst with the Foundation for Defense of Democracies, notes local commissions have been critical of confused jurisdictions and a lack of information sharing. But tracking terrorism threats is costly business, especially in an era with so many digital channels to monitor; tracing the digital footprint of the man behind the Nice attack has reportedly required more than 200 personnel alone. As Skinner sees it, France lacks the funding and manpower of America's massive security and intelligence apparatus despite the fact that "they have actually more suspects that they're worried about." One way France could address its unwieldy terrorism burden would be to pump money and support into early-intervention programs geared at warding off radicalization. But projects like those are expensive for a nation undergoing austerity measures, and often take time to show even hazy metrics of success. "It's easier to [focus on expanding] the remit and the staff of your intelligence agencies than it is to solve what is essentially decades of marginalization," offers Christopher Chivvis, a security expert at the RAND Corporation. Better security might also require the the adaptation of increasingly severe tactics, like Germany's "round up the usual suspects" approach, as Khan describes it, which France has yet to adopt despite claims that it has become a police state during its (extended) state of emergency. And even a fully funded and harsher version of the French intelligence and security network probably wouldn't be able to catch people who jump from petty crime and violence to terrorist action quickly, like the Nice attacker apparently did, with few or no red flags for terrorism watchers. Given the situation he faces, it's understandable Prime Minister Manuel Valls seems resigned to a future of domestic terrorism. In an interview with the Journal du dimancheon Sunday, he warned his countrymen that "terrorism will be part of our daily lives for a long time." 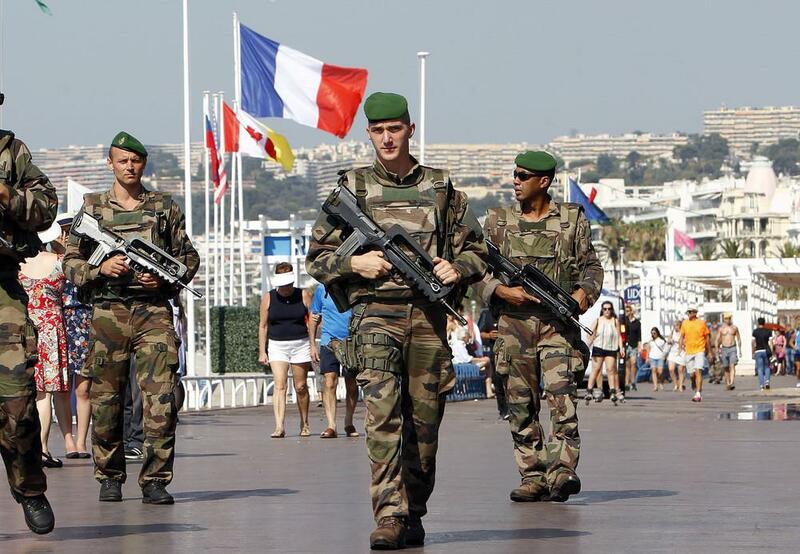 Without a real conviction to overhaul social attitudes and programs, as well as massively upgrade internal security and intelligence, France seems destined to remain on this violent trajectory. Even if the reeling Islamic State is wiped off the map, a large pool of disaffected youth—Muslim and otherwise—looms, threatening to erupt into another wave of pain and horror.